Artist inspiration and artist influences. No biographies, dates or scholarly research here - this is a personal response to the work of street artist Swoon by Australian artist Fiona Morgan. How could I not be enthralled and inspired by an artist who took her name from a dream, creates paper street art celebrating the local city characters and stormed the Venice Biennale with a group of artists in boats made from scrap. 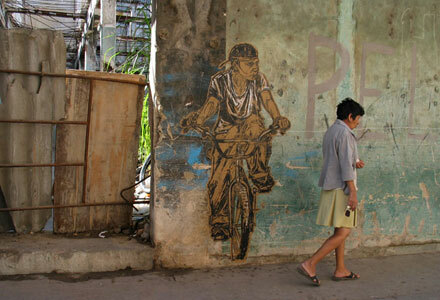 Swoon is a street artist with a classical painting background. Her paper craft obviously displays both technical and drawing ability. Hooray for artists that can really draw! 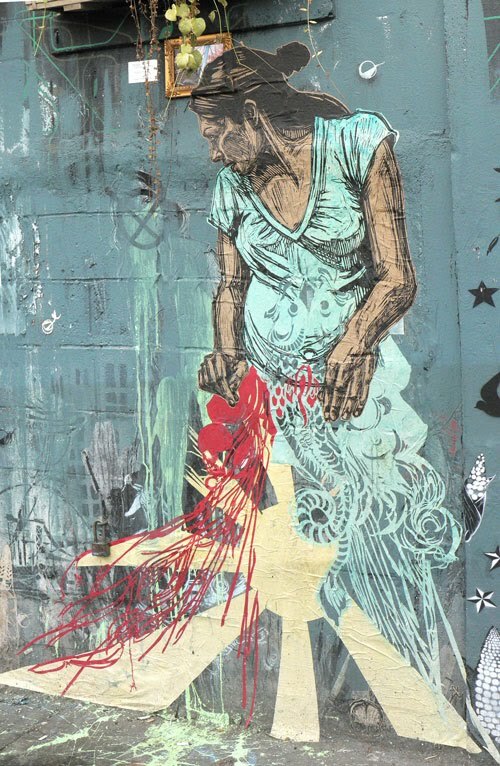 She celebrates the people that make up the cityscape and pastes their images around New York City where she lives. The city is her canvas for telling stories. 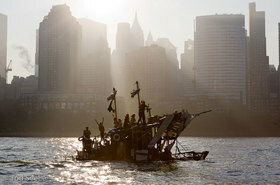 Swoon creates entire imaginary cities out of found objects, cut paper and prints. Magical. Her work is human sized. It's free for the public to enjoy. More to celebrate and admire. And I really appreciate her attitude to storming the Biennale. It wasn't malicious or nasty. It was to experience "the fantastic visual nature of the whole thing." So expressive, experimental, involved and FUN!! So how did she end up with the name 'Swoon'? Her boyfriend at the time dreamed that she was a graffiti artist with that name, told her about the dream, and so she adopted the name.